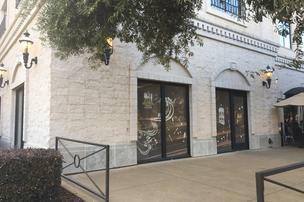 A local concept for a hand-crafted and fast-casual pizza restaurant in the El Dorado Hills Town Center is shooting for a March opening. Boulevard 41 will be just off Town Center Boulevard, the main street in the shopping center. It will be near Hop House and Bistro 33. It will make quick-cooked pizzas in an oven fired with both gas and wood, and will feature locally produced and seasonal ingredients, said owner Brandee Carle. The name for the restaurant comes from the 41 taps it will feature. Twenty-seven will be self-pour beer taps, and eight will be self-pour wine. Another six taps will be behind the counter for cashiers to serve customers who don’t want to use the electronic-chip system for the self-pour bar. The self-pour system will allow customers to pour up to 32 ounces of any beverage, without having to order from a server. The restaurant is 2,300 square feet inside and there will also be about that much room on a patio in front of the restaurant, facing Town Center’s amphitheater and water feature. The patio will wrap around the corner of the building, and have an enclosed area for permanent outdoor seating. Carle said she hopes to begin working on the space in December. She said Boulevard 41 will aim to be more upscale than some of the other quick-cooking, build-your-own pizza chains. Build-your-own pizza shops have proliferated in the region recently. Examples include Blaze Pizza LLC, Blast 825 Pizza, MOD Super Fast Pizza LLC and Pieology Pizzeria, as well as locally based eateries such as Sacramento Pizza Co. in Folsom and Trademark Pizza Co. Roseville.